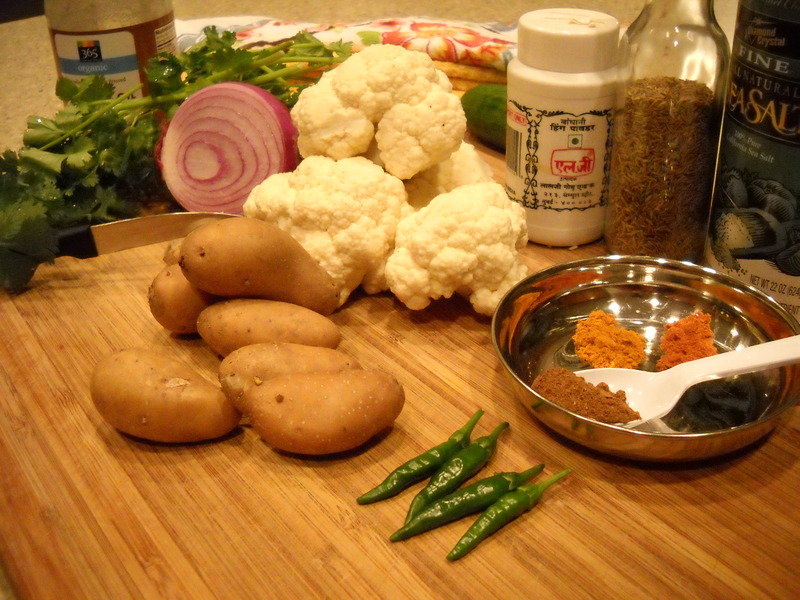 Aloo means potato and Gobi means cauliflower in Hindi. 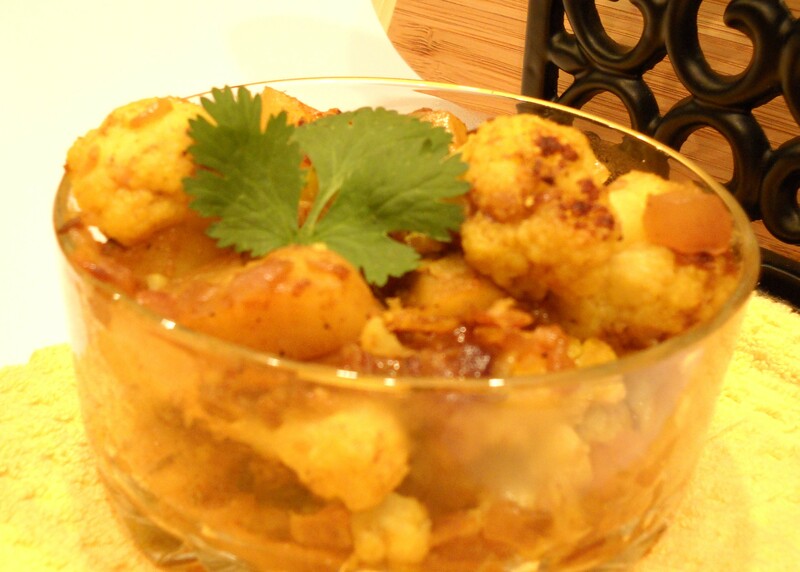 Yep, this is a North Indian dish, and as usual, can be made in a variety of ways. Sometimes with gravy, sometimes with tomato, this one is a basic dry version(sukhi). See my new little knife that I got for free. It’s cute and sharp. Heat a pan, add oil. Then add cumin seeds and hing. Then in go the onions. Once the onions are translucent, add in the ginger and powdered spices. 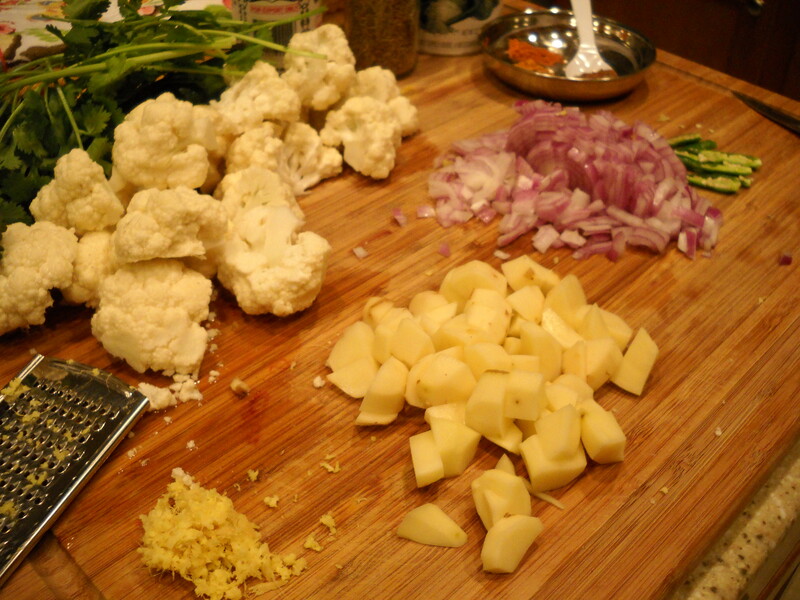 Stir it around, then add the potatoes and cauliflower and salt. Stir to coat it well. Add about 1/4c water to the pan and cover. Stir occasionally, and add more water if you need to, but very little. The water should be just enough to “steam” the vegetables and keep the bottom from burning, but not make it watery. If the bottom browns a little thats okay… I like the browned bits! Uncover and stir in the garam masala. Cook until dry. Top with chopped coriander leaves. Serve with dal and rice or curd/raita and roti.